Copyright theft is just a fact of the digital era, with that said, one of the hardest part of copyright theft is finding the infringement in the first place. A lot of the time companies will pay for content, but only if they can contact the author of the image. This alone is a great reason to add metadata to an image but here are some more great reasons. 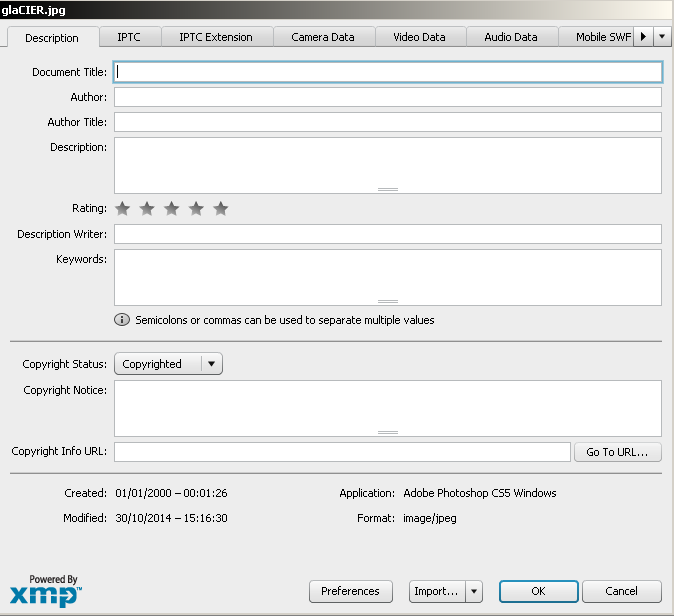 Adding metadata sounds much more complicated than it is, and once completed once you can save an .xmp template to apply to your files quickly and efficiently. While these techniques will not prevent theft of your images, it’s just one more step to protecting your work online, hands down the best way to detect copyright infringement is to use a digital watermarking service like Digimarc, but you will have to pay an annual Subscription fee. Document Title: this is name of your image, for online searches you can add a descriptive title such as ” Bantry Bay Seascape” “Acme Award Night” etc or for your own filing it can be as simple as “Johns Wedding”. Author: Pop your own name in here, this can also be a business name. Description: this will help your image be found online by Google images etc, so make this accurate and used words that describe the image well. remember that the first 160 characters are often all a search engine will index so don’t over do it, just make the wording very relevant to the image. 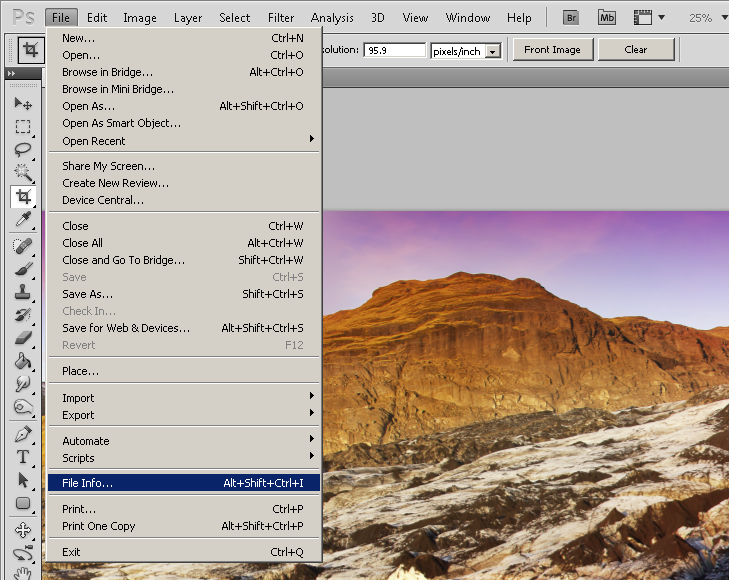 Rating: for your own records and programs like Adobe Bridge and Lightroom, rating an image will help you organize images by rating. Description Writer: this only applies if your providing a image editing service for someone else. but you can add your own name if you wish. Keywords: for your own records and programs like Adobe Bridge and Lightroom, but can also be used with certain reverse search engines like Tineye to help you track down stolen images, but often metadata is often stripped out as a mater of course for some sites like Facebook and twitter to save on file space. Copyright Status: this allows you to state if the image is copyrighted, creative commons or just public domain material. for images like digital art etc that use multiple resources that are often creative commons, this will show that your not intending to profit from the work if using creative commons material. Copyright Notice: this allows you to customize the details and contact for who owns the copyright to the image. to add a copyright symbol © you can either just copy and paste this one or hold down alt key and 0169 and it will appear. Copyright URL Notice: this can either be just a link to your website or details where someone can get hold of you to talk about using the work, or could be a page on your website laying out your full terms and conditions on image usage and copyright. Now that you have completed the titles, copyright etc, you can save a template so you will just have to change the keyword on each image. 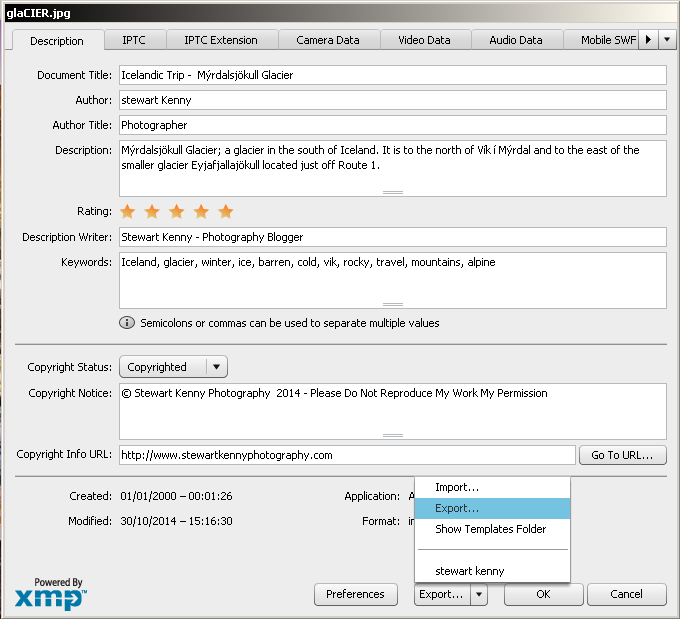 click the export button on the bottom and save the xmp file, and when you reopen another file to add metadata click Import and select that file again. Learn more about Adobe Photoshop and Lightroom with Dublin Photography School, we are one of Dublin’s leading providers of Photoshop training and courses, and can provide Photoshop courses all over Ireland. see more details here. Stewart Kenny is head of training with Dublin Photography School and is a Black and White Fine Art Landscape Photographer. see more of Stewarts work here.